Spooky Season is finally upon us, and it’s time to deck those haunted halls with items to evoke the Halloween season! Now, I’m no expert, but I have done my fair share of shopping to find the right pieces to decorate with, and during all of that shopping, I’ve figured out where to get the best of the best. Below are my top 5 recommendations–with *price ranges–for the best stores to get your spoop on this Halloween season! Michaels Arts & Crafts rolls out the orange and black carpet for Halloween decor, and I can definitely get behind that. 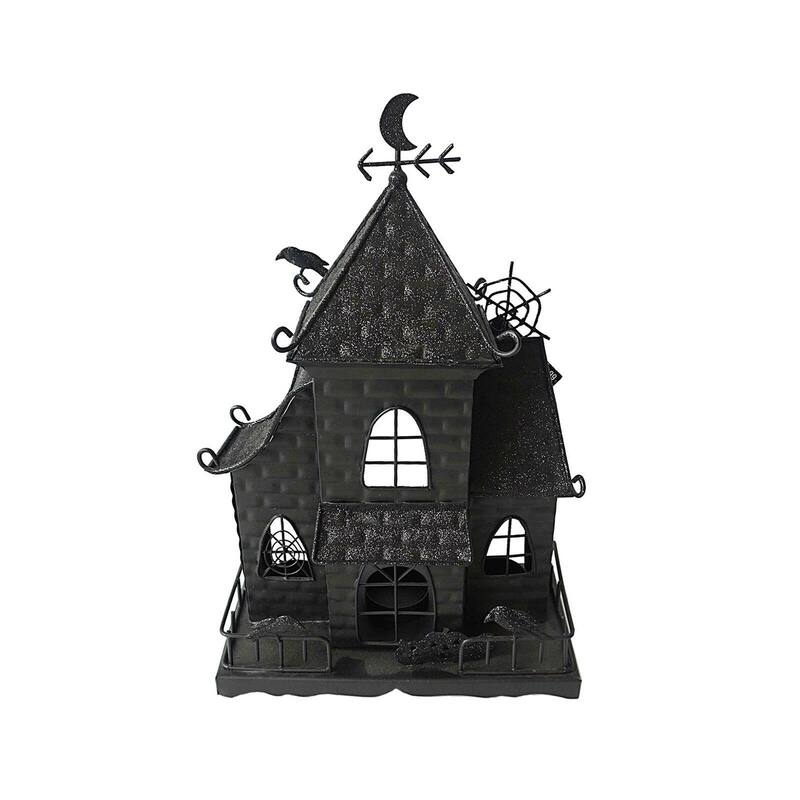 Not only do they have crafty items, but they also sell Halloween village sets, party supplies, costume pieces, baking accessories, and great tabletop and mantle pieces. They also have great sales during the month where you can snag some of these items at a discount. While the decorations at JoAnn’s are pretty pricy, I will give them some credit: they do offer lots of sales and coupons, especially if you have the JoAnn’s app. But, they do have some amazingly well-made decorations, and quite a large selection. They also have Halloween crafts and baking items, so that’s a plus! Pro tip: JoAnn’s takes multiple coupons in one transaction. This store literally has aisles and aisles of Halloween decor. Like, decor you could keep up all year round. And it’s glorious! They also have multiple themes to the decor items, so there’s something for everyone! It’s Halloween every day here. These are clumped together because they’re basically the same stores, but their selection depends on what they get in per season. They have lots of unique decorative pieces, food items, candy, and dishes/flatware. What they excel at the most, however, is their mugs. Home Goods, TJ Maxx, and Marshall’s have the best, cutest Halloween mugs for as little as $2. Target is my safe place; I pretty much do all of my shopping there, and I am definitely a sucker for their Halloween decorations. Each year, I get more and more impressed with their selection, because they have a solid range of extremely affordable pieces all the way up to lawn inflatable. Their Dollar Section always offers up some super cool items, and they have themed items depending on your aesthetic. Definitely a must this season! Pro tip: Go the week after Halloween for their 50%-70% off sale, and stock up on decorations for the next year! So, what’s going home to your spooky abode now? Let me know in the comments below! And welcome to NERDIWEEN 2018! Make sure you tag me in your Halloween decor and costume/outfit posts on Instagram to be featured on my IG Story! I’ve got a lot more coming up, so be sure to follow the blog to stay up-to-date on all the Halloween goodness. *Price range is my made-up measurement of how expensive decor items can get at these stores. “$” indicates $1-$10 range, “$$” indicates $10-$20, and “$$$” indicates anything more expensive than $20. I did this to account for the stores that may carry larger decor items, or lawn inflatables. Marshall’s has great October house decorations. I bought some hand towels a year ago at Marshalls. Yes! They have some of the cutest items for Halloween!